‘An t-Adhar Ùr,’ le Dennis King, Gairm 107, an Samhradh, 1979, tdd. 204–9. 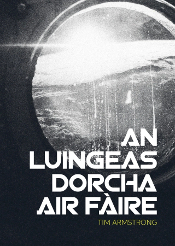 Nuair a leugh mi ‘An t-Adhar Ùr’, air ball, thug i an nobhail Solaris leis an ùghdar Phòlainneach, Stanislaw Lem, dham inntinn. Tha an dà sgeulachd mu bhithean daonna a’ tachairt ri beatha choigreach a tha uile gu lèir coimheach dhuinn agus nach gabh tuigsinn bhon t-sealladh againne. 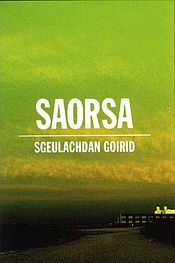 Ann an Solaris, ’s e cuan beò air planaid chèin a th’ ann, agus anns ‘An t-Adhar Ùr’, ’s e àile ùr a tha a’ tighinn beò air an Talamh fhèin, le cuideachadh bho shaidheantairean Talamhach. Anns an dà sgeulachd mar sin, ’s e tè dhe na ceithir eileamaidean traidiseanta (ùir, uisge, teine is adhar) a tha beò ann an riochd taobh a-muigh tuigse mhic-an-duine, ach feumaidh na h-urracha anns na sgeulachdan gabhail ris a’ bheatha dho-thuisgsinneach roimhpe ann an dòigheigin. The gleaming sheath of the ocean heaves upward to form a vast ball that reflects sky, sun, clouds and the entire horizon in a medley of changing, variegated images. Diffracted light creates a kaleidoscopic play of colour. Bha sinn air ar cuairteachadh gu h-iomlan le cruinne fìnealta de sholas luasganach, mar gum b’ ann air ar slugadh le amoeba trìd-shoillseach, dathach. Anns an dà sgeulachd, cha tèid rèite no dùnadh soirbh a thabhainn dhuinn. Cha tèid na bithean coimheach a thuigsinn a-riamh leis na h-aithrisichean, ach thèid na bithean daonna fhèin atharrachadh le bhith a’ fuireach fa chomhair beatha eile a tha glan às an aithne. A bharrachd air an sgeulachd phrobhail, tha cleachdadh cànain anns ‘An t-Adhar Ùr’ airidh air iomradh. Chaidh ‘An t-Adhar Ùr’ a sgrìobhadh bho shealladh saidheantair a tha ag obair aig Oilthigh California aig Berkeley, agus ghabh King cùram sònraichte dhen bhriathrachas innte ceangailte ri obair-shaidheans. ’S e ‘ealdhain’ a th’ aige air ‘saidheans’ fhèin, agus mar sin, ‘computair-ealdhain’ air ‘saidheans-coimpiutair’ agus ‘luchd-ealdhain’ air ‘luchd-saidheans’ no ‘saidheantairean’. Cha do thachair mi ri ‘ealdhain’ ga chleachdadh anns an t-seadh seo roimhe, ach tha e inntinneach. Tha a’ chiall sin ann an Dwelly ceart gu leòr, ach saoil, a bheil ealain a’ ciallachadh ‘science’ barrachd ann an seagh fharsaing mar ‘dòigh-eòlais’ seach anns an t-seagh shònraichte a tha bitheanta an-diugh, mar ‘eòlas-nàdair’? P.S. 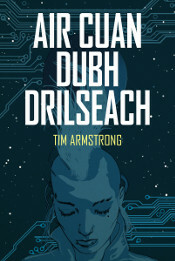 Mòran taing do Eoin Ó Murchú airson an sgeulachd seo a thoirt dham aire!